PPG SigmaCover is a range of tough, durable epoxy coatings that deliver outstanding corrosion protection for both new construction and maintenance of major assets. 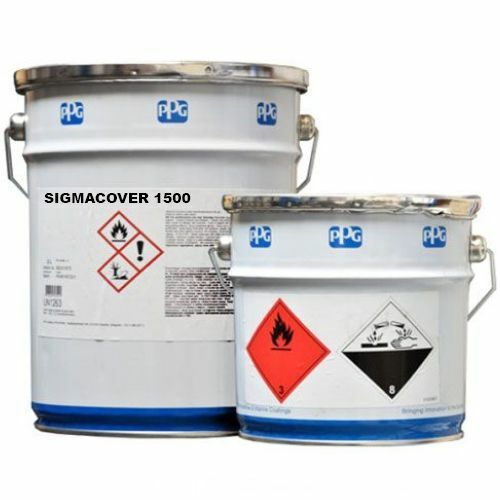 SigmaCover products are commonly used in the rail, offshore, petrochemical and power industries and on major infrastructure. They are part of the Highways specification, including high build polyamine adduct cured coal tar epoxy coatings. ​They are trusted to meet the challenges posed by corrosive industrial environments. Glass flake and micaceous iron oxide moisture and surface tolerant primer build coats as well as tiecoats and sealers are among the SigmaCover range.